What Is So Important About The Cube Part 1 ? What is hiding inside the cube? Before I show the duality of this amazing symbol by using sacred geometry, many thanks go to Marty Leads for revealing how the Master Creator used numbers and letters along with sound to form all that is. Gematria will be used to cipher the English alphabet in this presentation. Gematria is a method of interpreting words,based on numerical values of letters. (Greek geometria) Everything that is created by man involves mathematics, geometry aka Sacred Geometry (Pi). I find it interesting the words Gematria and geometria when added using the cipher equal 70 and if we use decimal parity 7+0 = 7. Why is this significant well if you spell out 7 seven it equals 22 and 22\7 = 3.142.. which is the closest known fraction to (Pi). 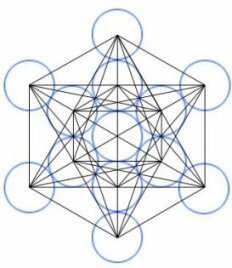 For the past several weeks I have been very curious about a symbol known as Metatron`s Cube especially when I found 13 circles and many other shapes including the Star of David aka the Seal Of Solomon along with the shapes that represent the five platonic elements all encased in this awesome cube. OK let`s get started with the word Cube ( C3,U6,B2,E5 ) 3+6+2+5+ = 16, 1+6 = 7. Right off the get go we have the Holy Number 7.
up, down, left, right, forward and reverse being all connected by an axis is another piece to the story of creation. When we take the six ways of motion and count the axis this totals 7. Just like the human body where the hips are the axis. Just for fun if we look into the word axis we can see( xis a )A SIX. Now using gematria (A,1) (S6,I5,X3 ) 1+6+5+3 = 15, 1+5 = 6. For the sake of keeping this as short as possible when we add up, down, left, right, forward and reverse it gives us a value of 133, using decimal parity this equals 7. So what does all this mean? 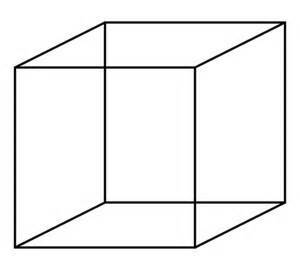 Marty explains that we can`t see inside the cube just like we can`t see our heart when looking from the outside. In the Holy Bible we read in Genesis that God created all things in six days and rested on the seventh day. Where does God rest? It only makes sense that God would rest in our heart. These two words rest and heart have some very interesting connections. Rest ( R5,E5,S6,T7 ) 5+5+6+7 = 23 which has the same value as Heaven ( H6,E5,A1,V5,E5,N1 ) 6+5+1+5+5+1 = 23. Heart ( H6,E5,A1,R5,T7) 6+5+1+5+7 = 24 and we see this with Earth ( E5,A1,R5,T7,H6 ) 5+1+5+7+6 = 24. Here we have the masterful blending of heaven and earth or could we say God and man. As Above So Below! 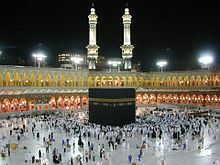 Why do the Muslims gather around a cube and bow down and pray to God. Why do Christians bow down before a cross and pray to God? Now carefully examine the cube and use your imagination and unfold it one square at a time. The cube is actually a cross folded up. 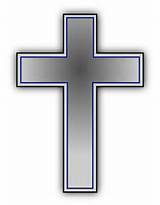 The cross is one of the oldest symbols known to man. Multitudes of ancient societies all recognized the cross as being symbolic of creation. If we count all the points which are the four ends of the lines and the middle where the cross intersects with the two lines we have 5 points and 2 lines that make up the component of the cross. This gives us our holy number 7. I leave you this to ponder how can all religions claim to worship the only true God? Watch for What Is So Important About The Cube Part 2 as I will share the duality and the significance of the number 13.